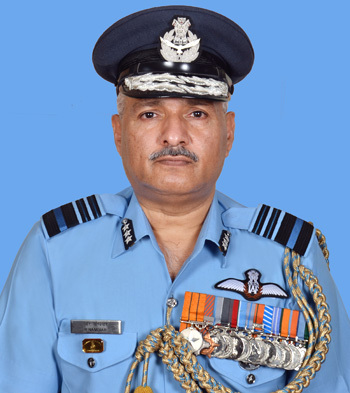 Air Marshal Raghunath Nambiar took over as the Air Officer Commanding-in-Chief, Eastern Air Command of Indian Air Force on October 1, 2018. Air Marshal Raghunath Nambiar is an alumnus of the National Defence Academy and was commissioned in the IAF as Fighter Pilot in June 1981. He is an Experimental Test Pilot and has flown 42 types of aircraft as Pilot in Command. He has the distinction of having the highest number of flying hours on the Mirage-2000 in the IAF, with over 2300 flying hrs on the aircraft to his credit, and a total of 5100 hrs of flying experience. He is a member of the Society of Experimental Test Pilots and was the Project Test Pilot for the Light Combat Aircraft "Tejas". 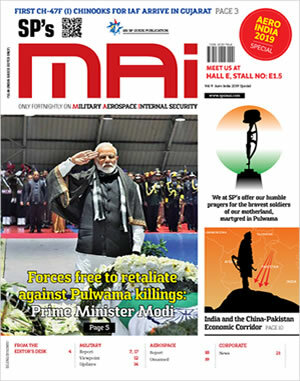 Air Marshal Raghunath Nambiar has been a Flight commander of a Mirage-2000 Squadron, the Senior Test Pilot and Commanding Officer of the Flight Test Squadron at Aircraft System Testing Establishment (ASTE). He has commanded the oldest Squadron of the IAF, the prestigious No. 1 Squadron. He flew the Mirage-2000 in combat during the Kargil conflict and has flown 25 operational missions. He was the Director of Space Applications at Air HQ and the Chief Operations Officer of Air Force Stn Gwalior. He was posted to Embassy of India in Israel as the Defence Attaché. He was the Principle Director of Offensive Operations at Air HQ. The Air Officer has also held the appointments of Air Officer Commanding Air Force Station Jamnagar, Commandant ASTE, Air Defence Commander Western Air Commander, Senior Air Staff Officer (SASO) of Southern Air Command, Training Command and EAC. Before taking over as the AOC-in-C of EAC, he was the Deputy Chief of the Air Staff. Air Marshal Raghunath Nambiar was awarded the Vayu Sena Medal for Gallantry by the President of India for the Kargil Operations. He was awarded a Bar to the Vayu Sena Medal for flight testing the Light Combat Aircraft (LCA) in 2002, during its first phase of flight testing. He was commended by the Chief of Air Staff in 1991 and by the C-in-C of Strategic Force Command in 2005. He was awarded the Ati Vishist Seva Medal in 2015. The Air Marshal is married to Mrs Luxmi Nambiar. In a simultaneous function she took over as President, Air Force Wives Welfare Association (Regional).